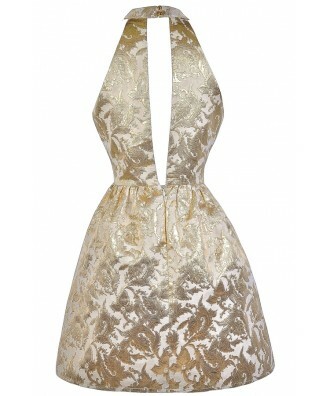 This unique dress features gold metallic leaf designs throughout it. We also love the high neckline! 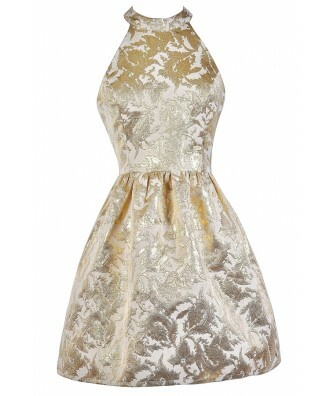 The Goldleaf Glamour High Neck Metallic Party Dress is fully lined. 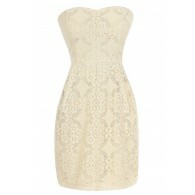 It is made of a beige/gold fabric with metallic gold flourish designs on it. It has a high neckline and an A-line cut. An oversized keyhole cutout in the back adds a flirty look to this dress and a hidden back zipper complete this look. This dress is a romantic and very classy style. 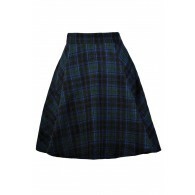 Pair it with beige or gold pumps and some delicate gold jewelry for a chic look. Details: Fully lined. Hidden back zipper. 100% polyester. Dry clean only. Small measurements: Length from top of neckline to hemline: 34.5". Bust: 35". 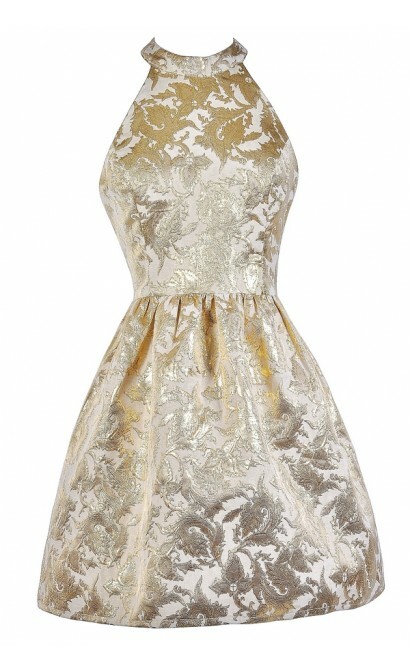 You have added Goldleaf Glamour High Neck Metallic Party Dress into Wishlist. You have added Goldleaf Glamour High Neck Metallic Party Dress for Stock Notification. 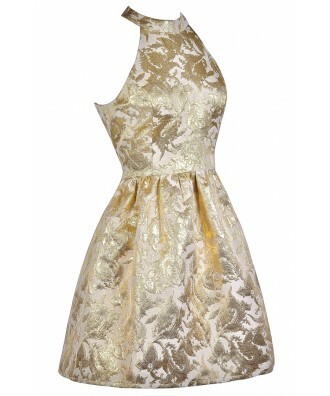 You have set Goldleaf Glamour High Neck Metallic Party Dress as a loved product. 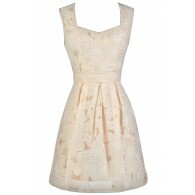 You have removed Goldleaf Glamour High Neck Metallic Party Dress as a loved product.